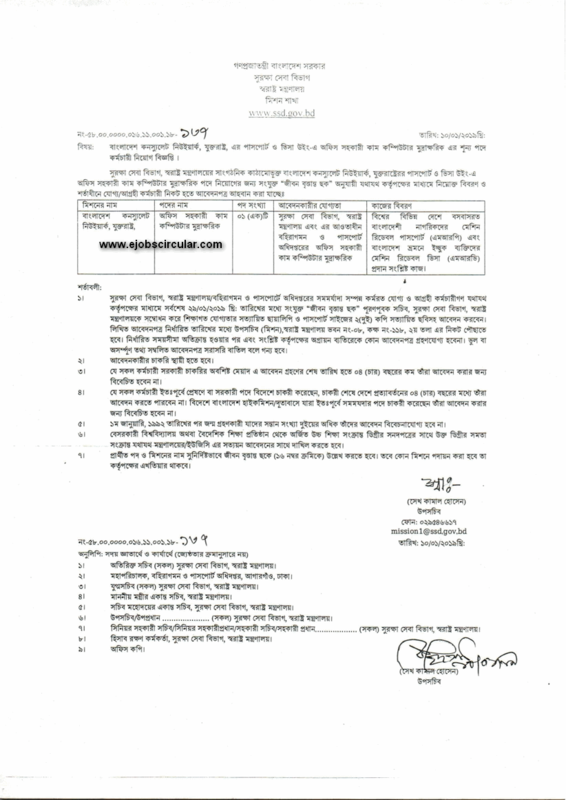 Security Services Division (SSD) published New job vacancy Notice at www.ssd.gov.bd. SSD Job Circular offer total 01 New vacancy in this post.SSC,HSC And Graduate Student also apply this SSD govt circular 2019. You have to sent your document before 29 January 2019. Application Last Date : 29 January 2019. This entry was posted in Govt Jobs 2019, Ittefaq and tagged Govt. jobs, Online job applications forms, Security Services Division (SSD) Job Circular 2019, www.ssd.gov.bd by Raju Ahmed. Bookmark the permalink.